If you take one piece of advice from this post, it’s this one: get a portable wifi device, just like the one we rent out in Prague. It is incredibly helpful when you try to navigate the city or if you want to do an online search of something you don’t understand. Which will happen often. More importantly, you can take selfies and post them online immediately. Vital these days. There are many companies that offer these devices. We preordered the device from Prague through PuPuRu and it was super easy: we collected it at the airport, and when we were finished with it, we put it in the included prepaid envelope and chuck it in the mailbox in the airport on our way out. The only problem? Deciding who will have it when we split our ways for even 10 minutes. 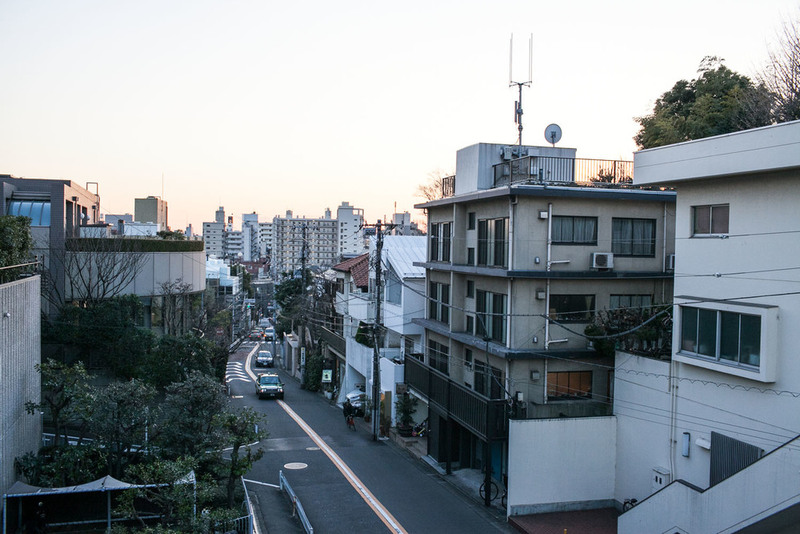 Navigating Tokyo can be a challenge, but the device really helps: streets in Tokyo do not have names in the Western sense of the word, and finding the right place with no street signs and very few house numbers can be difficult. 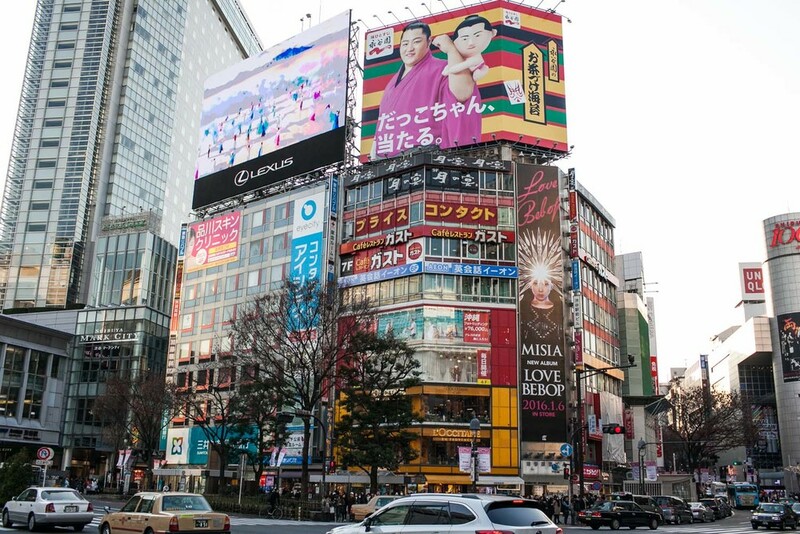 Also, you’ll soon realize that retail extends beyond the ground floor, and many restaurants you’re heading to are actually located on top or basement floors, so you won’t find them on the street level. 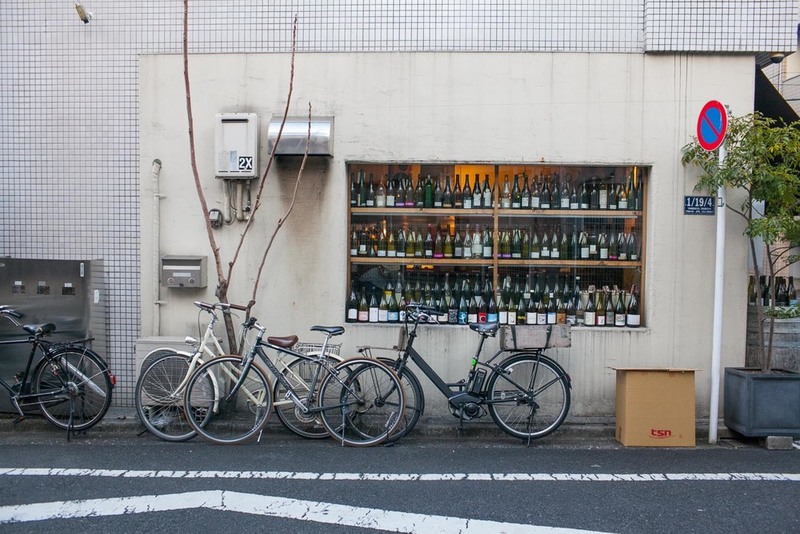 So if you have a reservation, and punctuality is important in Tokyo, allow some time for searching and hesitation. On the other hand, the Tokyo metro is fantastic and although it is complex, it is labelled German… sorry… Japanese precision. We didn’t get lost once. (And boy oh boy, do we normally get lost.) Buy the 3-day pass that can only be bought at the airport at the JR ticket counter when you land. You can buy a few of them if you plan to stay longer. They make a lot of sense. But when you get lost, people will help you. 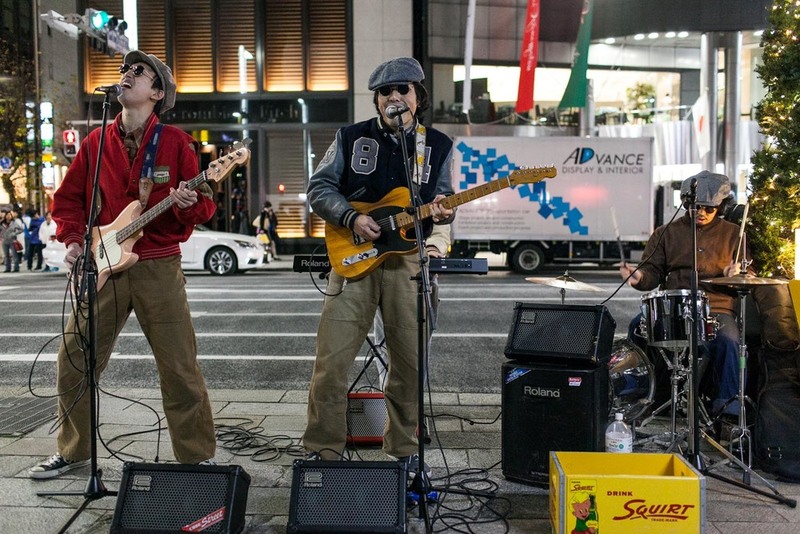 That is what’s great about Tokyo: the people. It’s a huge city, just like London or Paris, but it does not feel like one because the people are so well organized. While taking the London tube during peak hours can lead to severe bodily injuries (“Sorry, mate!”), nobody is pushing their way forward in Tokyo. 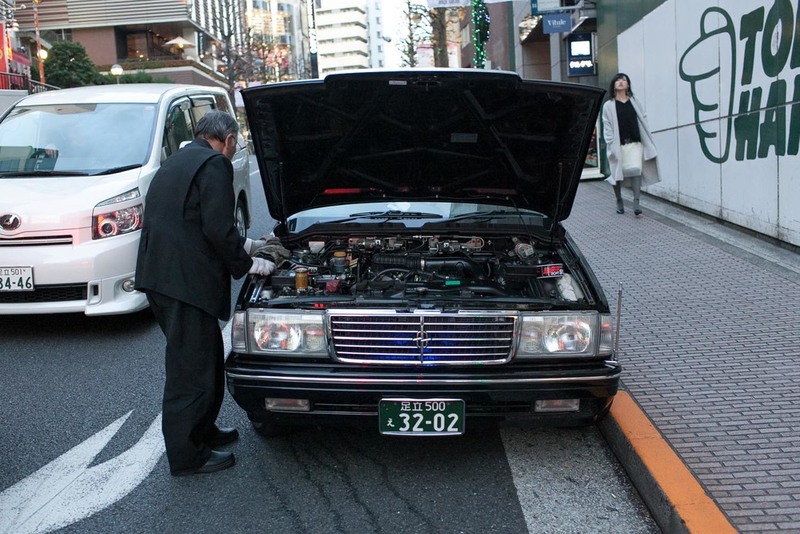 The people in Tokyo take politeness to a completely new level. From the bows to the friendly gestures to the attention and customer care, you feel pampered walking on the street as if you were walking through a five-star spa. 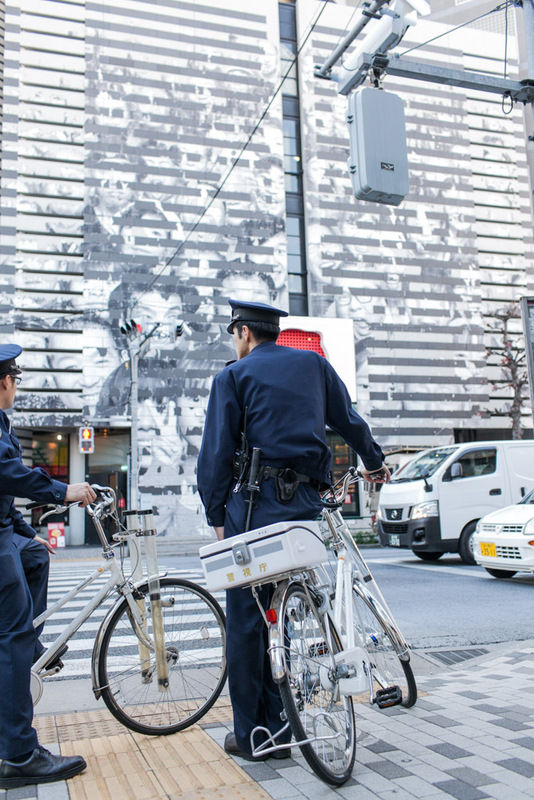 While not many people in Tokyo understand English (and many locals insists on talking Japanese to you, to your slight bemusement), you still feel absolutely safe and without any worries. We stayed at the Park Hotel Tokyo, which is a classic modern hotel near Ginza, which means it’s in the top section of a high-rise building, with the reception at the 25th floor and the rooms from the 26th floor up. 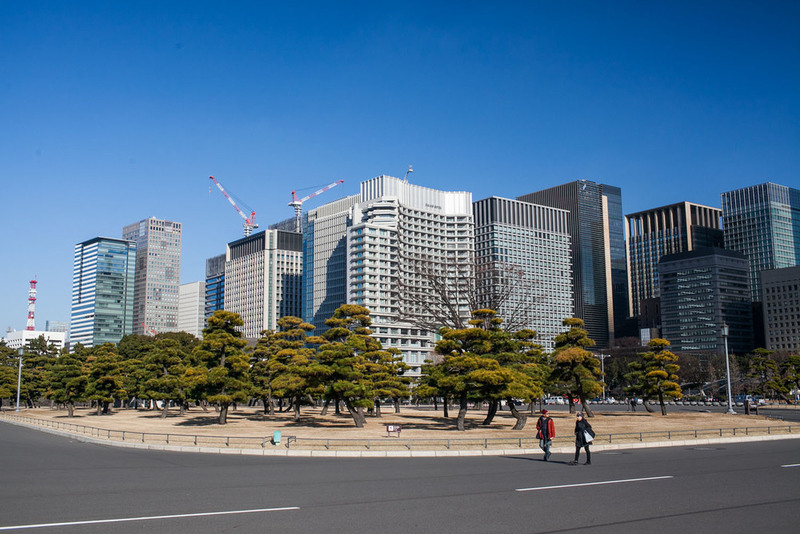 We liked it a lot, especially its proximity to Ginza and the Shimbashi train and subway station. The staff did help us get around quite a bit, making a few reservations and ensuring our stay went smoothly. Our room had, of course, a high-tech Japanese toilet. 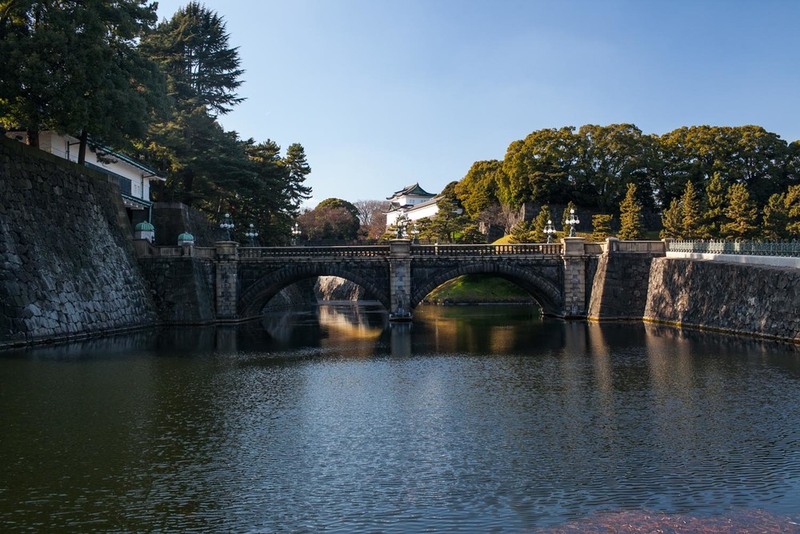 We write primarily about food and travel, so we won’t get into much detail here, but let’s just say that while it takes a bit of courage to put the whole shebang into action, Japanese toilets are awesome, and heated seats and all the other perks associated with them are something we already miss. 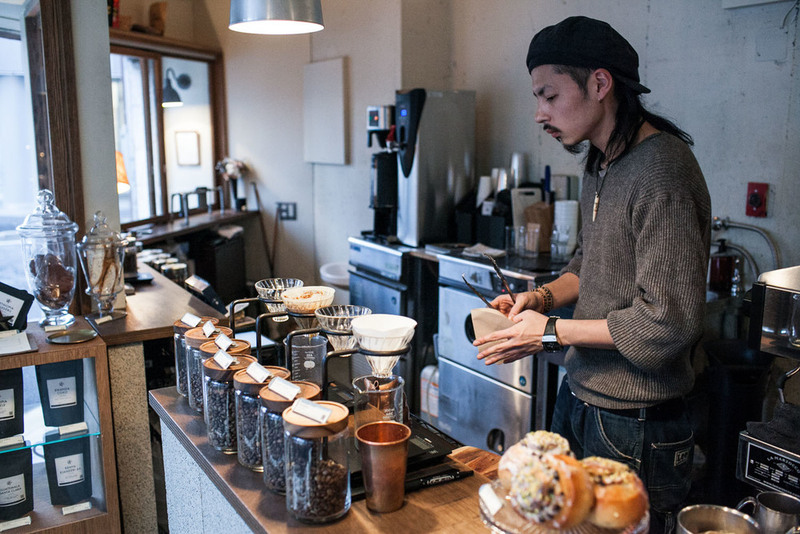 Specialty coffee scene in Tokyo is fairly young and clearly booming. Getting a cup of coffee is also pretty steep: the average price of a cup of joe (no matter whether it was espresso-based or filter) was around JPY 500, which is over EUR 4, but we paid nearly twice as much in some places. 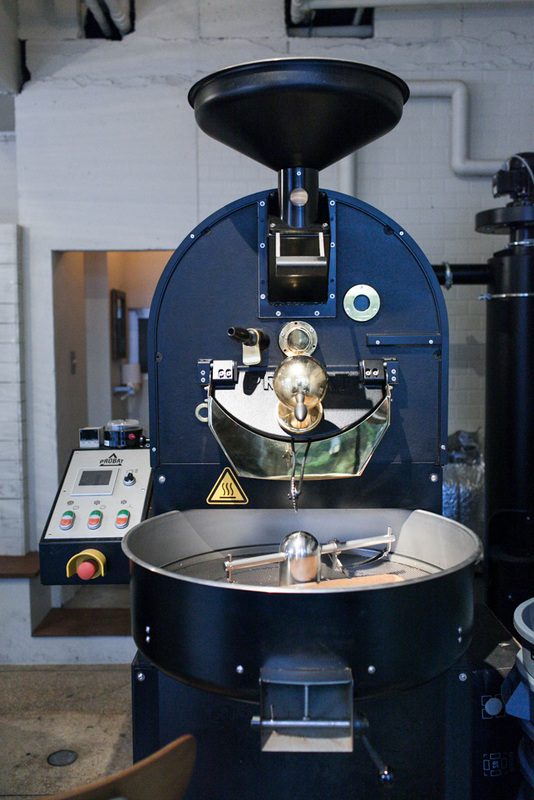 The roasts are, in general, much darker than what you get in Central and Northern Europe. Actually, this got us thinking that maybe it’s not the rest of the world that roasts their coffee darker. It’s probably just Central and Northern Europe that roasts its coffee lighter. That said, the atmosphere in the cafes is beautiful, just like the design. 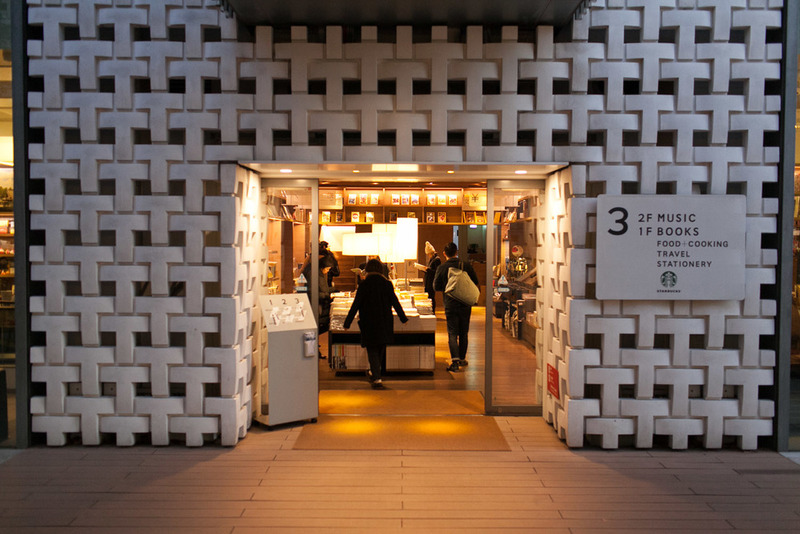 The Japanese don't settle for mediocrity easily, and it shows in the cafes, too: everything from the pottery to the woodwork to the minimalist design looks fantastic and is top notch. One word of caution: always ask how big is the coffee you are ordering. It might be bigger than you think. And don’t order to go. 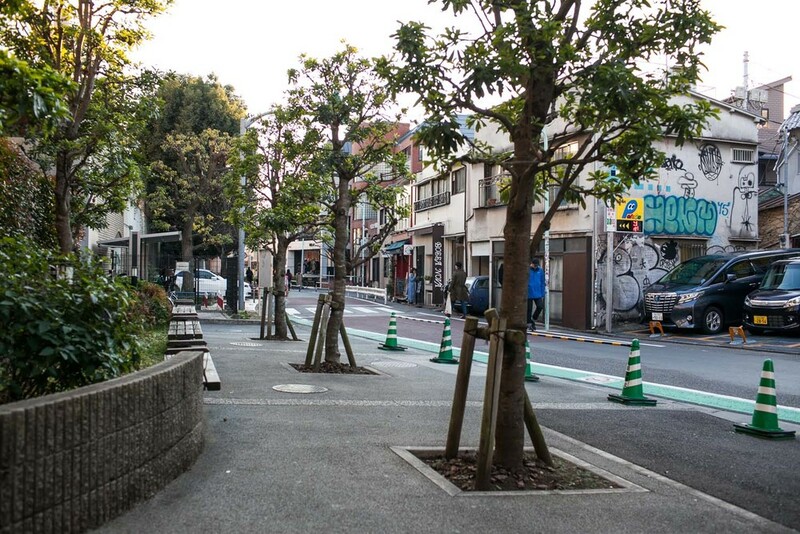 Nobody drinks or eats on the streets in Tokyo. One of the reasons may be the sheer lack of trash bins on the streets. We’ve literally walked miles with banana peels without seeing a bin to throw them out. We have no theory on this so just beware of this when you’re buying things to go. 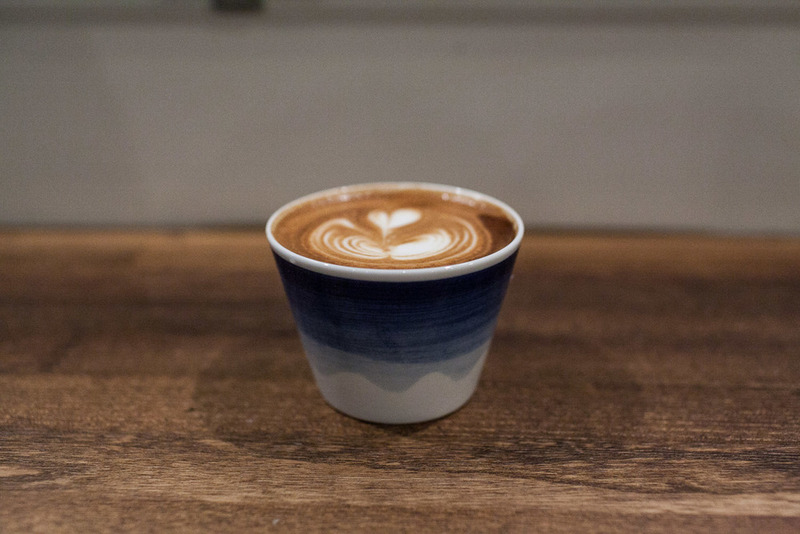 The lightest roast we had in Tokyo was served by PNB Coffee, a small cafe in a tiny street in the Daikanyama valley that proudly presents itself as a Danish cafe, and they only do filters of Danish roasters: Coffee Collective and La Cabra. We had the natural-processed Salvador La Alto as a Kallita pour-over, and it was the best cup of coffee we had in Tokyo. Another nordic place was Fuglen, a Tokyo outpost of an Oslo-based cafe and bar that has a great, laid back atmosphere, and played cool Norwegian music on both of our visits. And good reading material. In English, Japanese or Norwegian. 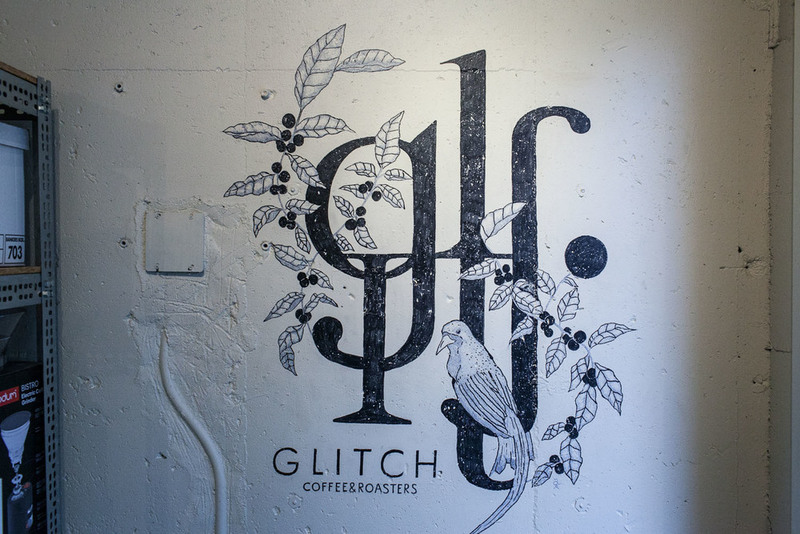 Another place we liked was Glitch Coffee just north of the Imperial Palace that managed to squeeze in a full-size Probat roaster in the rather small interiors. 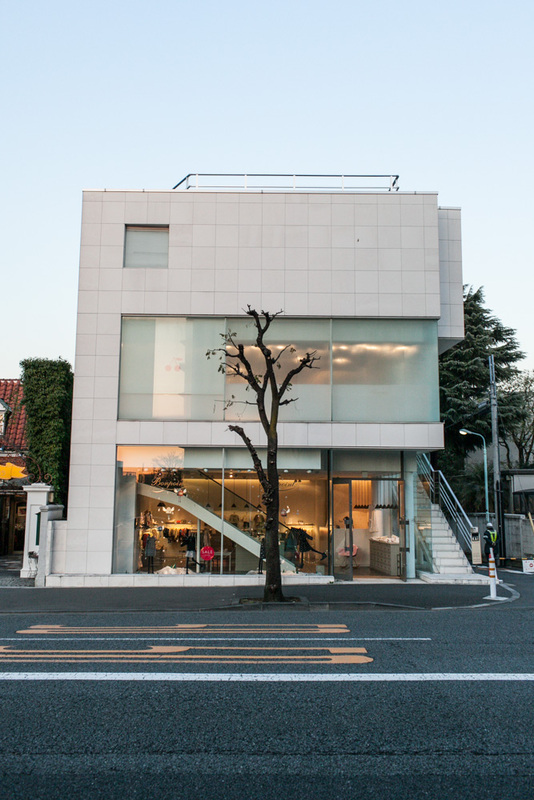 It's a corner cafe with lots of light, unlike many restaurants in Tokyo that have very few or no windows at all. We had both filters and macchiatos in Glitch, and we liked the coffee and the neighborly atmosphere. 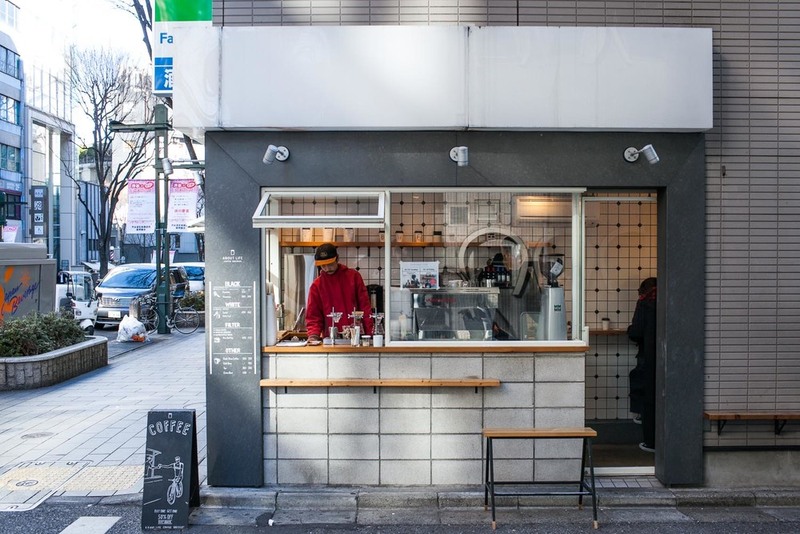 The smallest cafe award must go to the About Life Coffee Brewers in Shibuya, which literally fits two or three inside, and two more on the bench outside, so it’s mostly a takeaway place, but super cute. They also had beans by Koppi roasters when we got there. 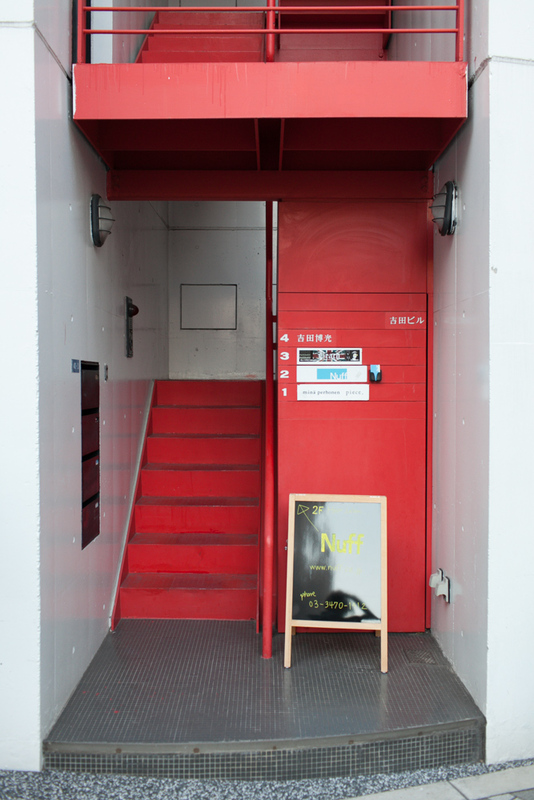 Roastery by Nozy Coffee is a really nice cafe and roastery on a hip side street very near Harajuku. The coffee was a bit darker but we liked the visit: it’s a beautifully designed space with the beans roasted and sold in the back. They also sell soft-serve ice-cream from a huge machine right next to the espresso counter. (We wanted to suggest they sell an affogato, to which they simply replied “too soft”. Makes sense.) The US-based Blue Bottle Ayoyama is a beautifully designed, clean and modern place with a kitchen. It must have cost lots of money but overall we did not enjoy this place as much as the others. Finally, Turret Coffee was a cute little cafe very near the Tsikuji fish market. 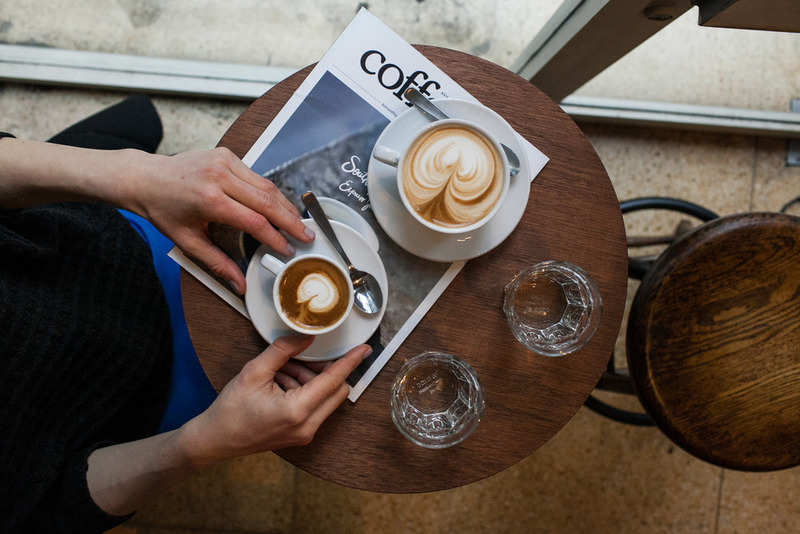 A tiny place with a truly nice friendly feel… and very dark roasts. We got stickers and a business card at the end of our visit. Before we get into what we had, just some general recommendations. The Tabelog website is a fantastic research tool and puts many places you’ve Googled into the local perspective. Use it. Another thing you should bear in mind: if you want to visit high-end restaurants, making reservations can be very, very tricky, and they’re virtually impossible to make from outside Japan. Some high-end places may have six seats only, and they have a large number of regulars who reserve the next dinner at the end of the last one. Others are invitation-only, which means you have to be introduced by someone who’s already dined at the place. Therefore it can be difficult to penetrate the small circle of regulars. Also, Tokyo has an incredible number of Michelin-star rated restaurants, so if you are into fine dining, this is your city. Many restaurant have actually rejected the stars, and these are the hardest to get into. In general, the ambiance of Japanese restaurants is different than Western ones. Many great restaurants are located in what we would call food courts of retail and business buildings, which makes them hard to find and which makes it even harder to take nice pictures of the food given the sheer lack of natural light. (And we need Instagram pictures, goddamit!) 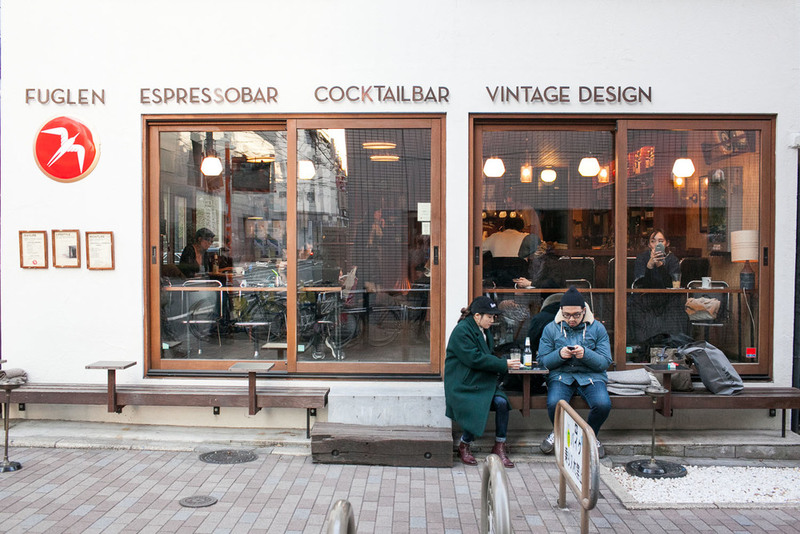 Don’t expect Parisian-style cafes with large windows open into the street. Nope. The interiors are generally minimalist and spare with lots of wood. 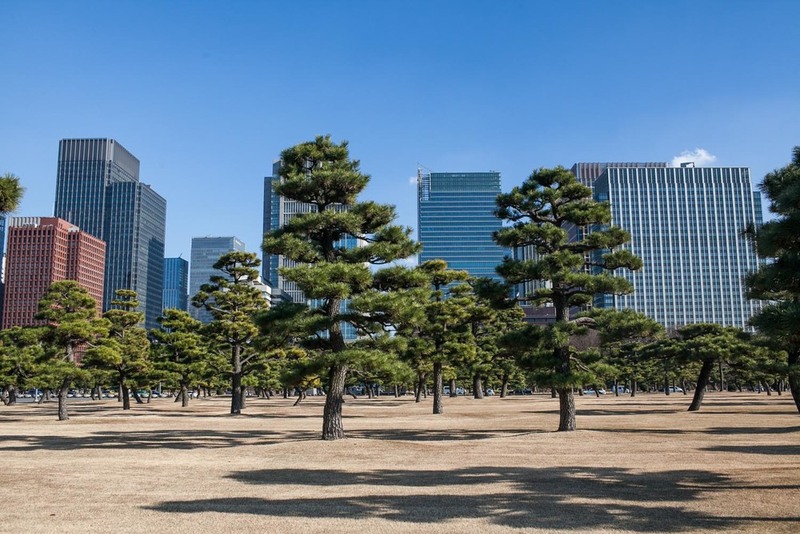 If you’re visiting Japan for the first time like us, here’s our best advice: observe and imitate. You often get a dish that consists of many things distributed in smaller bowls, and you have no idea how to eat it. Sitting at the right angle and mimicking what the locals do does make a lot of sense. Last thing we should mention: definitely visit the supermarket and the food hall of a large, fancy Japanese department store. It’s like the model United Nations: every famous European or US brand has an outpost and the quality of the food is outstanding. Sacher tortes by Demel, macarons by Pierre Hermes, bread by Joel Robuchon (does he even sell bread in Europe? ), they have everything. Finally, these stores are infamous for selling high-end fruits at prices that boggle the mind. You don’t have to buy them, but it’s an interesting thing to see. So, with all that behind us, this is what we ate. We definitely wanted to try ramen. 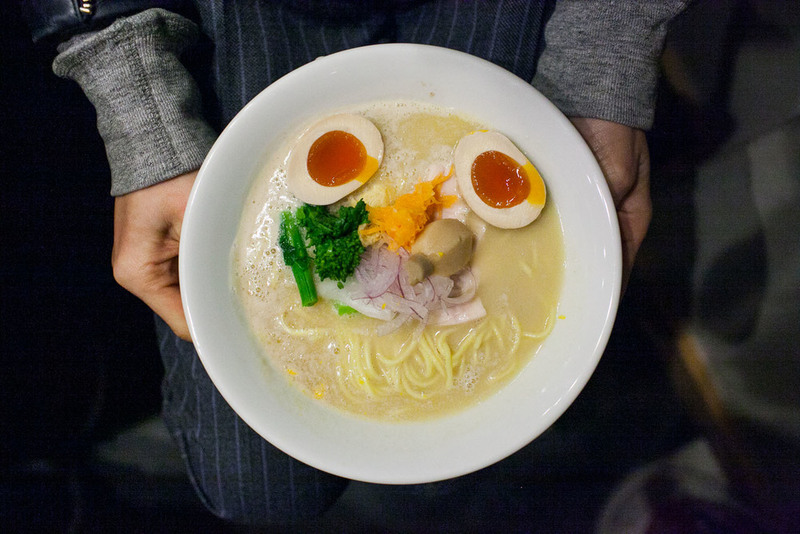 There are many, many types of ramen, so we knew we were not going to try them all, but we visited two places. 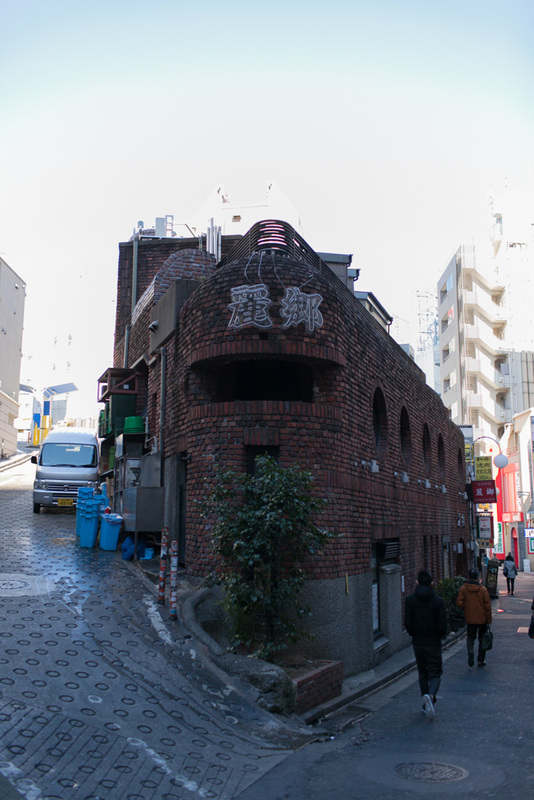 Ginza Kagari is a tiny booth that sits eight people. That is why you wait in line for over an hour with some cheery locals. The food is worth the wait. We had the tori paitan, a creamy chicken ramen, which had a strong, clean flavor of chicken broth and thinner noodles, while the tsukemen had a beautiful, rich, fluffy and creamy texture, thickened by seaweed. The second place was Rokurinsha in the corridors underneath the Tokyo Station. This is a wildly popular place, and while David Chang in his episode of the Mind of a Chef tv series suggests the lines can easily take three hours, we waited no more than 20 minutes when we arrived in between meals. 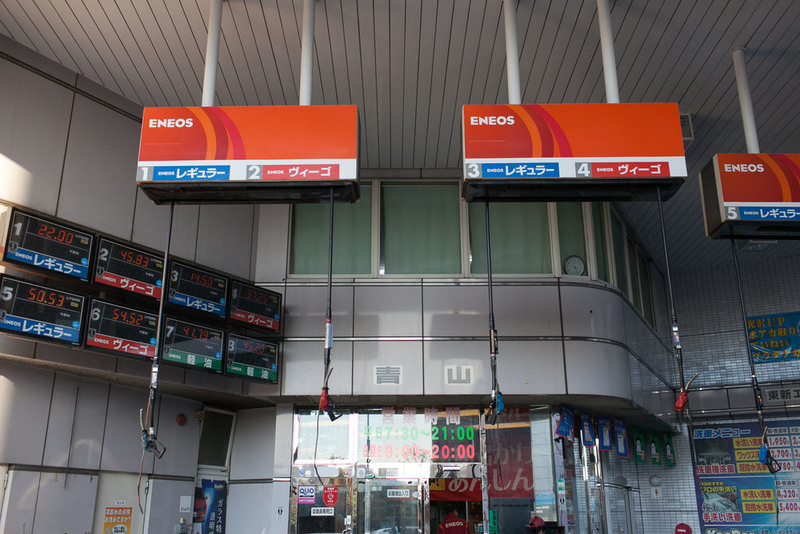 You pay through a vending machine, which gives you a ticket, which you give to the staff. The cold noodles and the hot broth are served separately. The noodles are thick and oily, while the broth is rich and both salty and sweet and absolutely delicious. We haven’t had anything like this anywhere in Europe. We loved both of these places and we will pray every day before sleep to have something like these two in Prague, especially in the winter. Maybe it’s time for us to pitch this at the Dragon’s Den? 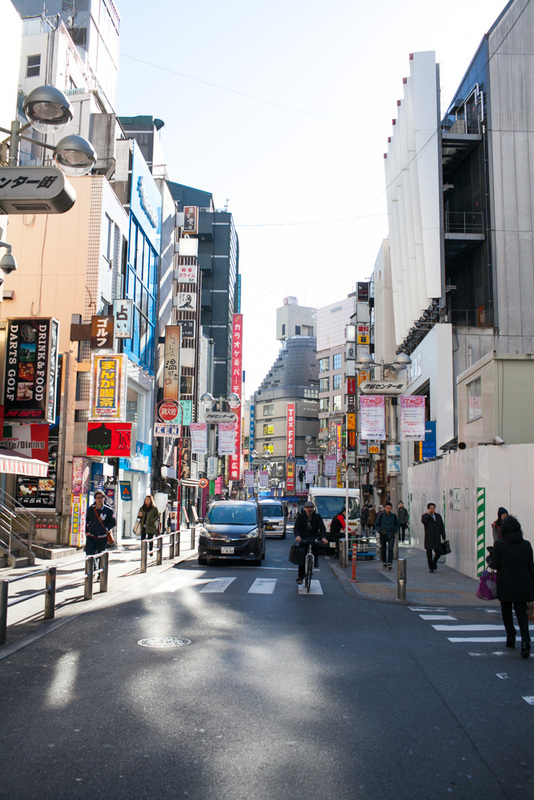 For tonkatsu, we headed over to Butagumi in the Nishiazabu district. A small two-story traditional restaurant where you take off your shoes and sit in a cubicle. (Another tip: stock up on clean socks.) The menu comprises over twenty different types of pork, but we went for the "deluxe" (which means fattier) kurobuta from the Kagoshima prefecture. The meat was perfectly fried in the panko breadcrumbs, and the thick steak was tender and juicy. The sides of rice, cabbage and some pickled vegetables nearly made this a healthy meal. Nearly. For tempura, we headed over to Tempura Fukamachi in the Nihonbashi district. Again a tiny place that sits perhaps a dozen people. We sat at the bar and got one of the set menus. It was a surprise: the tempura was much less oily than what we know from Prague, and really let the ingredient shine. The nice part about sitting at the bar is that staring at the two tempura masters at work is not only tolerated, but kinda expected. Good. We had one truly high-end meal at Narisawa. Narisawa is unlike many traditional Japanese restaurants in the setting: big windows and lots of natural light create a more European experience than many other restaurants in Tokyo. We opted for the omakase menu, which can loosely translate as “chef’s selection”, which means it’s a tasting menu. In one word, the meal was fantastic. What was great was that we tasted many of the things we travelled to Japan to taste: proper Kobe beef, abalone, and even the infamous fugu, which we did not realize was fugu until after we ate it. The cooking paid utmost respect to the ingredients and let them shine, while the flavors were natural and subtle but always delicious. And at the end of it, you go to the bathroom and there’s a toothbrush and a paste. Nice touch. 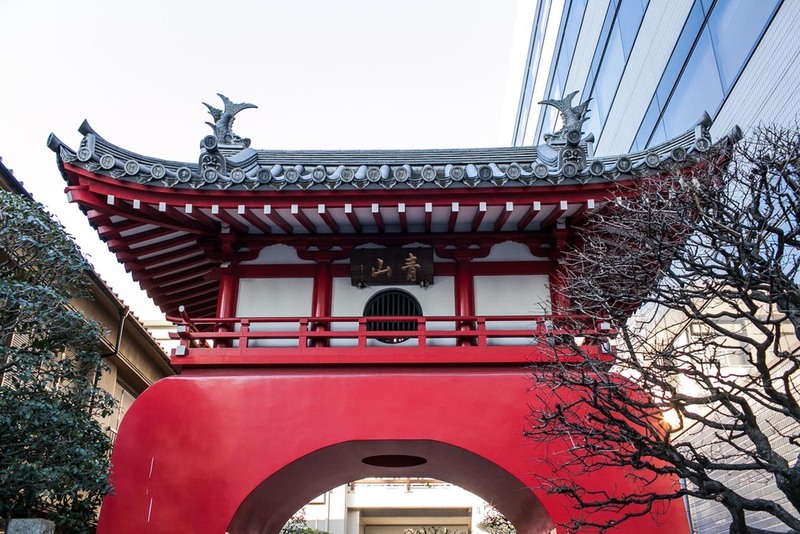 If you are traveling to Japan this year, we recommend that you visit the Tsukiji fish market before it relocates outside of the city in November 2016. You have to wake up early because by the time we arrived at 7am, the workers were pretty much packing up and leaving. (The auctions, which start at 5am, were inaccessible as we arrived in the busy season.) Let’s not sugar coat it: the market, although visually interesting and engaging all the senses, also has a distinctly touristy feel, as you walk the alleys with other Westerners and take pictures of random stalls together. As expected, the two famous sushi places on the market, Sushi Dai and Sushi Daiwa, required hours of waiting to get in, which we were not willing to go through in the chilly morning, so we opted for the Tsukiji location of Sushi Zanmai and had the sushi selection. While this was no high-end sushi, the fish was super fresh and had, compared to the sushi we get in Prague, an almost sweet taste and much better texture, and especially the shrimp seemed like a different protein from what we can get in Europe. We also tried a few sweets, mostly in the Ginza and Maronouchi areas. You could spend hours and gain full pounds in the basement of the Matsuya department store with all the variety, but we opted for the Kimuraya bakery and had the Japanese ankan bun filled with red bean paste (the most popular among other fillings, incl. chestnut and sesame) and a baked cube filled with tonka beans with sesame cream. While the soy paste is an acquired taste, Jan actually did like the sesame filling and the tonka beans. We also had a financier and a pistachio Danish at Echire, a French butter brand that runs an incredibly popular bakery in the Maronouchi district, which sells butter and butter-based pastries. BTW, butter seems to be a luxury, or dare we say, exotic, produce in Japan. 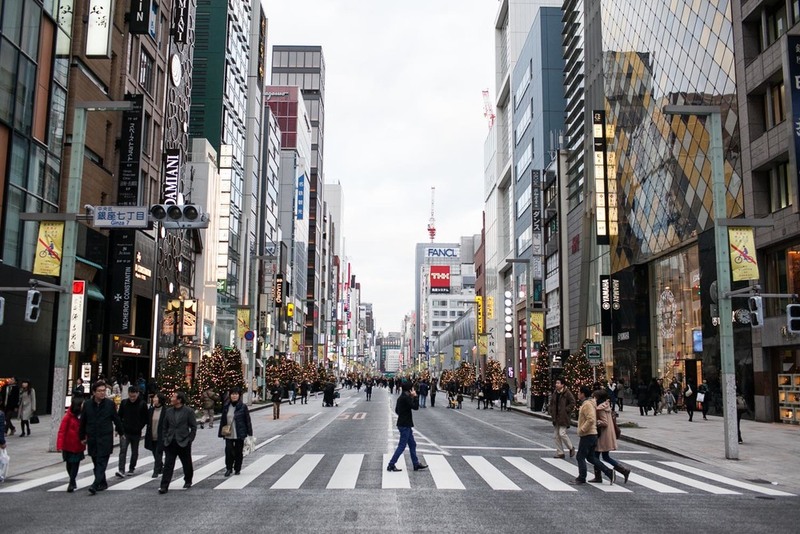 If you like fashion, and especially well-made fashion that uses great materials, you will love Tokyo. Actually, you should have your bank issue a new card because you will wear it out so hard the magnetic strip may fall off by the time you’re supposed to leave. 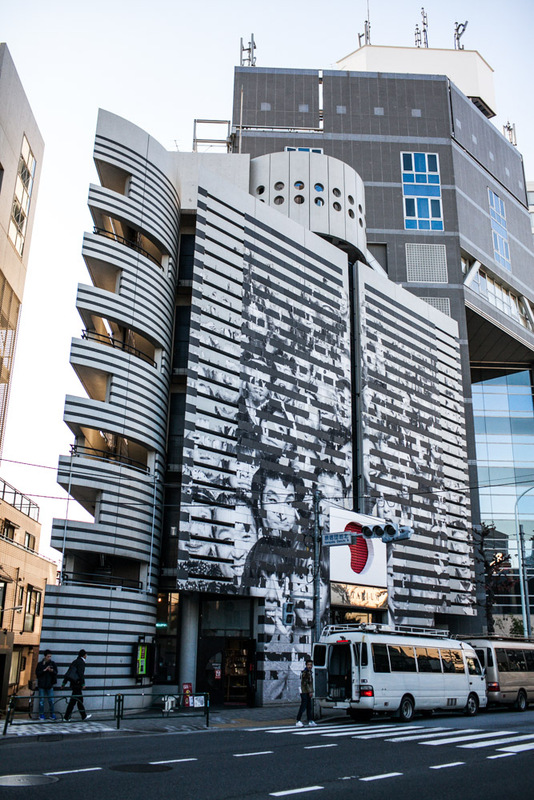 No, the people of Tokyo love fashion in a way no other city loves fashion. That is why big names make specific collections for Japan that are unavailable elsewhere, which adds to the excitement. But you did not come to Tokyo to buy stuff you can get at home. Local fashion brands and shops also offer great, minimalist and timeless pieces that will form great additions to any wardrobe. Just prepare you will leave some money behind and make sure your airline has a sensible overweight luggage policy. 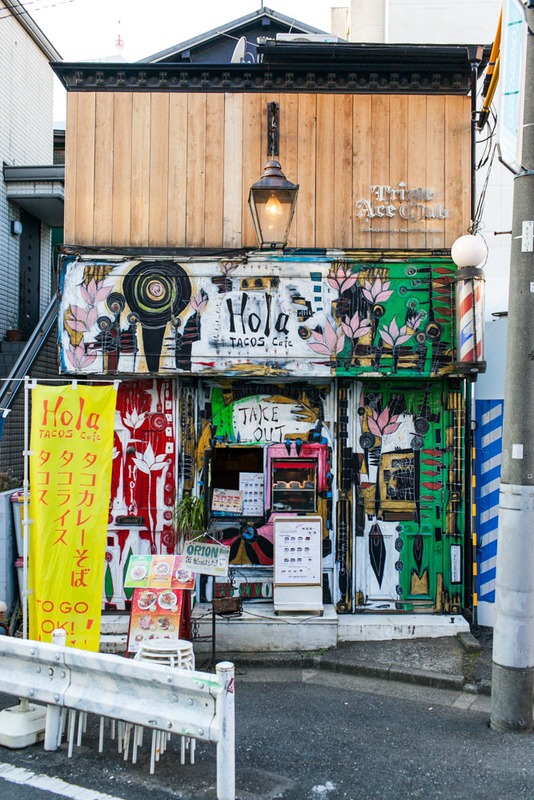 Take the main street from the Omotesando to the Harajuku subway stops: only Rue St. Honore in Paris can match it in terms of the famous fashion houses featured. And these are full of people buying actual product. (Tokyo must have the highest density of Birkin bags in the entire world, and seeing one becomes commonplace after a few days.) 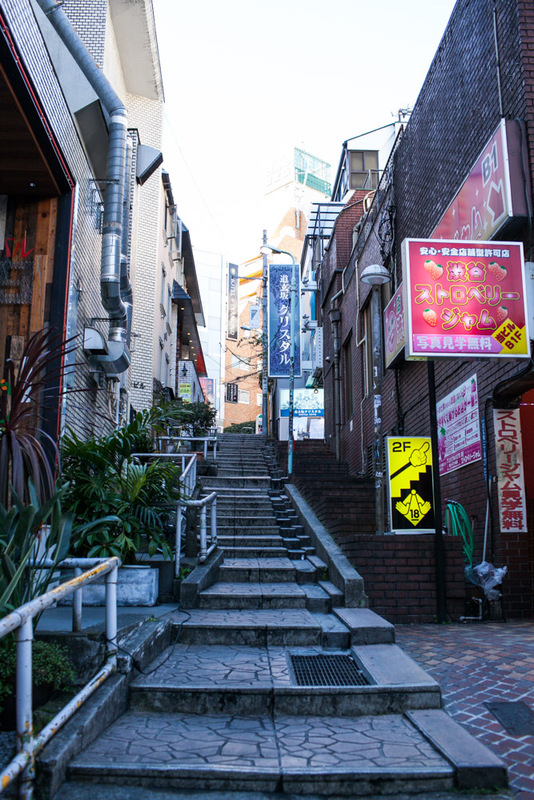 But walk into the smaller streets to the north or the south, and even the smallest side street or alley can have a really cool, hidden shop full of products that you simply need in your life. The common feature of all of them is quality: shopping in Japan is not about finding bargains (we haven’t seen a single “clearance” or “everything-under-a-dollar shop during our stay) but about buying something that will last for at least a while when you get back and looks absolutely fantastic. Have a look at the map. All these shops were great.